What Makes a Conversation “Tough”? It takes guts to start – and sometimes to stick with – a tough conversation. We’re afraid of triggering anger or hurt. Or being misunderstood. But some conversations are necessary. My parents might think I want them to hurry up and die. They might think I’m greedy. They might think I’m trying to curry favor over my sister to get more than she does. They might think I’m trying to trying to control what they do with their own money, as if it’s already mine. They might think it’s none of my business. And say so! 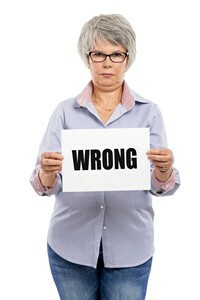 For several years, our Tough Conversations blogs have mainly focused on families and aging. 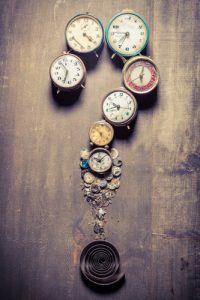 Sig’s current blog explores a different but equally challenging area of family interaction: namely, how families and returning citizens can prepare to reunite after the latter’s release from incarceration. One of the toughest conversations I can think of is that of a returning citizen (ex-offender) with his or her family members prior to or after release from prison. After years of incarceration, how does an individual re-unite with his or her family? Maintaining family contact while incarcerated is challenging. It’s said that when a person enters prison, the entire family (figuratively) accompanies him or her. Imagine a Dad not seeing his kids grow up for 15 years. Or a Mom, sentenced to 10 years behind bars and separated from her baby before its first birthday. This happens constantly. 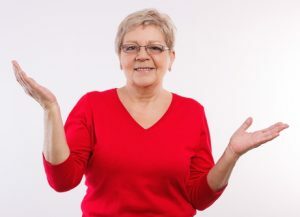 Tough Conversations is pleased to feature an article by Guest Blogger Susy Murphy who is a respected Aging Life Care Manager and Owner of Debra Levy Eldercare Associates in Maryland. We recently attended our son’s wedding. It was beautiful. The weather was perfect and our son and his new wife couldn’t have looked more radiant. What amazed me the most, however, was the amount of planning that went into preparing for the big day. Months before the ceremony our son’s fiancé (and he) began the process. Planning included the size and color of the calligraphy of the invitation, floral arrangements, seating at the wedding dinner, down to the ‘official’ color of the event. 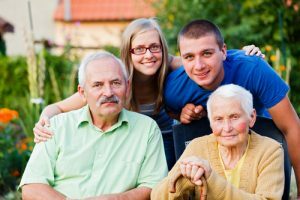 Besides our will, powers of attorney, trust documents, and other legal, financial, and end-of-life instructions that we should share with family members, we need to prepare one other item: our ethical will. 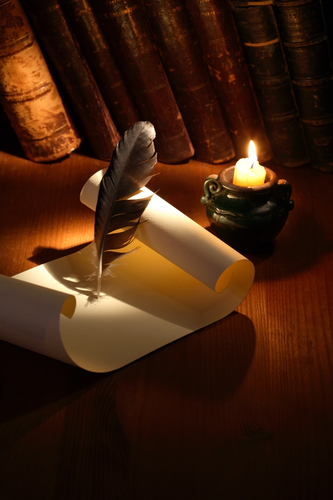 Ethical wills (or legacy letters) are designed to transmit values from one generation to the next. They set out our beliefs, principles, and hopes for those who succeed us. An ethical will often include what we’re grateful for and our expectations for the future. They are best written over an extended period. Their purpose is to express what we hope our children will continue to follow and abide by. Some books are better the second time around. Even better the third, after life has delivered its lessons. 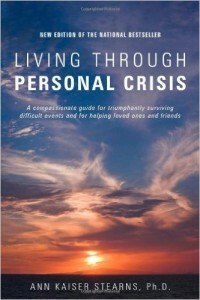 Living Through Personal Crisis by Ann Kaiser Stearns is such a book. Its subject is grief over life’s losses, big and small. A painful divorce propelled the author, a clinical psychologist, chaplain, and professor, to write it. She had two purposes: to help others and to heal herself.